I first started blogging my recipes many, many years ago on a site I had created which was dedicated to spicy food. 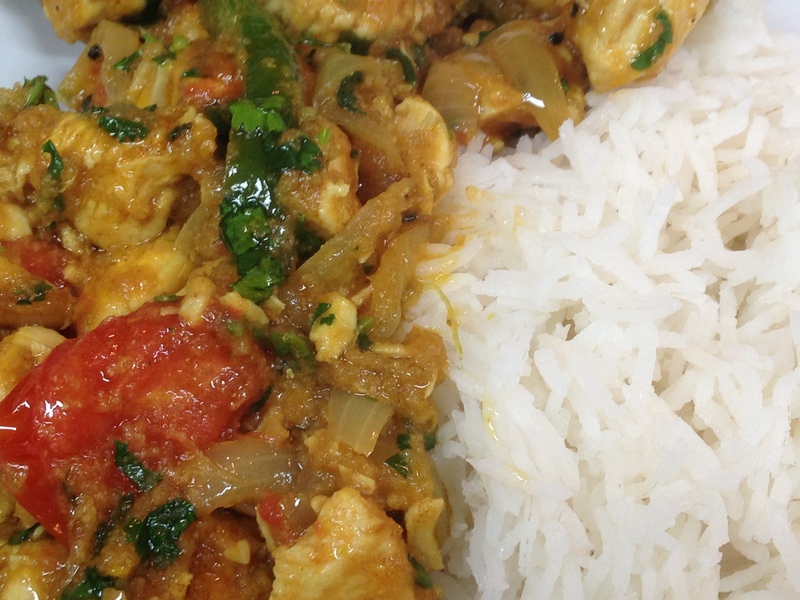 Many of my recipes were focused on creating ‘authentic’ restaurant curries based on experiments which run all the way back to my first ‘real curry’ exposure at University in Bradford. More recently my curry recipes posted on this blog have been relatively quick and easy, something which can be turned around with minimal preparation but for the next few posts I’ve gone back to my roots to create that true Curry House experience. It may come as a surprise to many, but (to my knowledge) Indian Restaurants and Curry Houses do not have dozens of vats bubbling away, full of Chicken Madras or Lamb Bhuna, each dish is cooked to order. But with a wide range of dished, each quite different and each requiring quite a lot of preparation, how can this be turned around in 20 minutes? The answer is simple – preparation. It may seem like a bit of an ordeal, but think of it like this. The sauce can be made in a batch on frozen. It is a common ‘sauce’ which can be used for ANY curry – hot or mild, vegetarian, chicken, lamb, fish, rich and creamy or dry and intense. It is a genuine investment – keep this in the freezer, frozen in ice cube trays and pull out blocks as required.